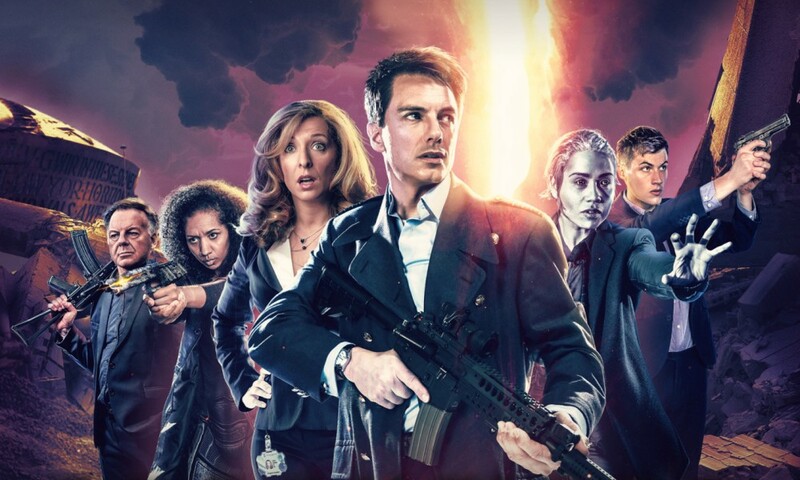 Torchwood’s “Series Six” launches with God Among Us 1, which picks up from the cliffhanger ending of Aliens Among Us 3. The problem of the Sorvix has been back-burnered — now Torchwood is focusing on the Sorvix “god”, apparently loose in Cardiff, and also trying to rebuild as a team following a loss. It consists of four standalone episodes. Sometimes frustratingly standalone, as the explanation of who “Ng” was feels like it was tossed in as an afterthought, and I don’t really understand it, and the characters don’t react to it until Episode Three. (It’s not even clear to me why “Ng” is her name from an in-story perspective, or how anyone knows it, given I thought it just meant “Not Gwen”.) But this is another solid set, and it especially showcases how strong the character work has been in this new version of Torchwood. Only one series in, and I already care more about most of these people than I did Jack’s underlings in the television programme after two. 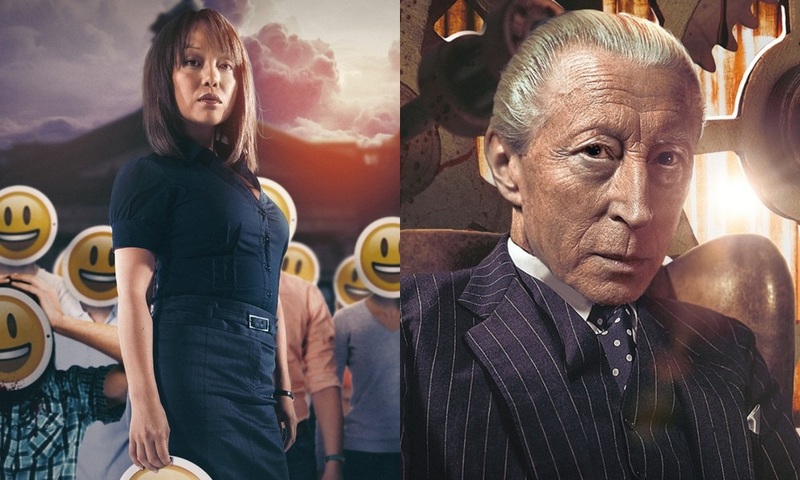 Producer James Goss’s Future Pain kicks things off, following the repercussions of how Series Five ended. There’s some stark stuff here: a significant life event I didn’t expect, but is really well done. It’s hard to discuss without spoiling, but all the characters have various interesting reactions to it; I felt that Samantha Béart’s Orr, Paul Clayton’s Mr Colchester, and especially Ramon Tikaram’s Colin Colchester-Price were able to show off their stuff in compelling ways. Tikaram is a revelation in this set as a whole, actually; I listened to it overlapping with UNIT: Encounters, and the difference between Colin and Tikaram’s UNIT character is so big it’s easy to forget that Big Finish cast the same person as a lead in two concurrent ranges. But he’s given so much more to do in Torchwood than he ever is as a generic hard-edged military commander in UNIT, and I’ve come to love him as one of the range’s extended cast members, the Rhys of this new Torchwood Three. The Man Who Destroyed Torchwood by Guy Adams does what a lot of Torchwood episodes do, and filters a contemporary societal feature through Torchwood sensibilities; in this case, it’s YouTube conspiracy theorists. The story is told from the perspective of Brent Hayden, a conspiracy theorist going after Torchwood, and we know he’s right about some things… but so so wrong about others. It’s decently funny and dark; my favourite parts are the scenes where we hear the regular Torchwood cast act out Brent’s imagined versions of how things went down, including a version of Captain Jack who has an accent verging into country, and an Orr who just can’t resist Brent’s charms. When it ended, though, I wasn’t entirely sure what the point of the story was; it ends up feeling like there never really was a reason for Torchwood to engage with him to begin with, given how little he actually knew. Plus, coming as the second episode of a new series, it feels like the wrong time to do a side-step; there are things going on that I want to hear the characters react to! See No Evil marks the debut of the prolific John Dorney on Torchwood, in a story with a compelling premise: everyone in Cardiff goes blind. This episode finally brings Ng into focus some, as she and Yvonne and Jack must work together to save the city. It also has a good-sized role for my fave, Andy Davidson, who weirdly but entirely organically seems to be developing some kind of relationship with Yvonne. Who would have thought? It’s a story with some great scenes — there’s more focus on Colin, for example — but I found myself unconvinced by how quickly Cardiff seemed to descend into anarchy. Though I guess at this point the city’s wild oscillations between anarchy and normalcy are a feature of the Big Finish Torchwood range. Tim Foley’s Night Watch wraps up the box and sets the stage for the next one. It’s a strange story I didn’t entirely know what to make of, but it has some great bits — once again, particularly for Orr, Mr Colchester, and Colin. To me, these characters are the heart of the new Torchwood, and I enjoy almost anything they do; they sort of function as Ianto, Gwen, and Rhys did in the old one. I look forward — but also worry about — where things are going for them in the future. 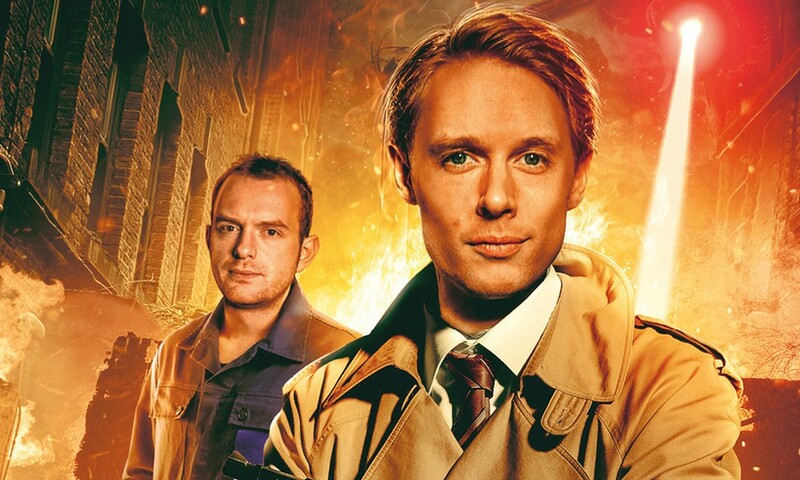 The characters are the real strength of the new Torchwood. It does often feel like Captain Jack recedes into the background, but other than that, this range does right by them. I’ve mentioned Orr, Mr Colchester, and Colin a lot already, but this set also really shows off Yvonne to good effect. Who would have thought that ten years after Doomsday she’d be a regular character in the ongoing Torchwood story? But Tracy-Ann Oberman is consistently delightful in the role, making every line count. It probably helps that the writers give her all the best ones! Jonny Green’s Tyler Steele doesn’t get as much to do as in some of the other sets, but most everything he does is solid, and his character is set to develop in interesting ways. I do wish, though, that we had a better handle on Ng than we do. Oh, and Jacqueline King’s small role is utterly fantastic, really great casting. Like the best ongoing series, Torchwood: God Among Us is greater than the sum of its parts. This is four strange hours in the company of a great cast of characters, and I’m on board for this ride as long as it goes. God Among Us 1 (by James Goss, Guy Adams, John Dorney, Tim Foley; starring John Barrowman, Tracy-Ann Oberman, Paul Clayton, Alexandria Riley, Samantha Béart, Jonny Green, Tom Price) was released by Big Finish Productions in October 2018.